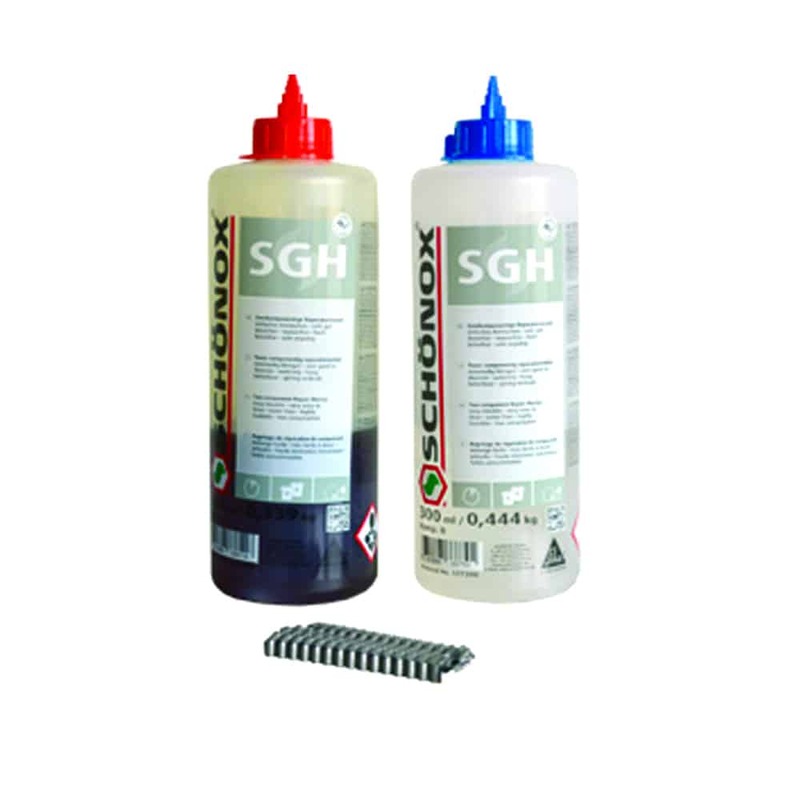 Schönox SGH - HPS North America, Inc.
Two Component Repair Compound Non shrinking, Silicate Based. Suitable for filling of cracks. Low odor and easy handling, ready for pour over after 1 hour. Renovation clips included.